A major conference on what the future holds for Greater Manchester under the Northern Powerhouse is to be staged in Salford this November. Speakers at the summit will address the impact on government, transport, arts, science and business. The conference will take place on Tuesday, November 10. It is aimed at business people as well as those involved in local and central government, education, economic development initiatives, health and social care, transport and the voluntary sector. 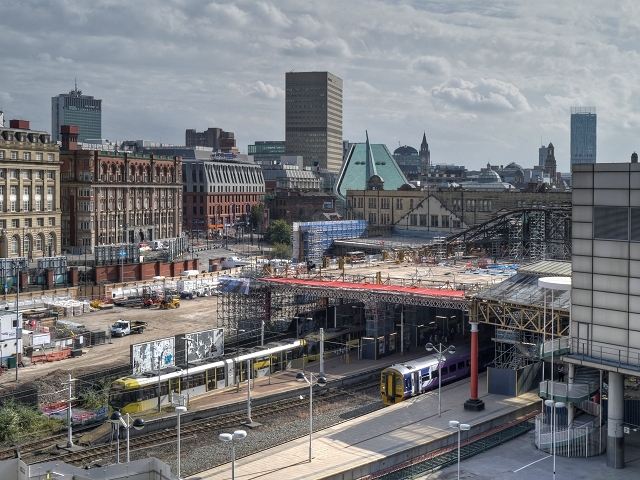 Called ‘The Future of the Northern Powerhouse and Local Government: The Impact on Greater Manchester’, the conference is being sponsored by Manchester Airport and supported by Greater Manchester Chamber of Commerce. The speakers will include Manchester City Council leader Sir Richard Leese and chief executive Sir Howard Bernstein, Simon Mellor, the recently-appointed project director of the Factory Theatre scheme, and Greater Manchester Chamber of Commerce’s Chris Fletcher. Delegates will also hear from the Managing Director of Manchester Airport, Ken O’Toole . Dr Kieron Flanagan, senior lecturer in science and technology policy at Manchester Business School, will speak about making Manchester a ‘science powerhouse’ and the benefits this would bring to the higher education sector. Ian Palmer, head of modelling and research at Transport for Greater Manchester, will speak on innovations in the world of transport. The line-up of speakers also includes Salford University’s vice-chancellor Dr Prof Helen Marshall, and Bernard Molloy, the global industrial director at Unipart Aftermarket Logistics.